← 4 Of My Favorite Fictional Oscar Winners! Lee Marvin didn’t get many chances to show his comedic side; in fact, I can only think of two off the top of my head: the John Wayne/John Ford outing DONOVAN’S REEF (1963) and the 1976 spoof THE GREAT SCOUT AND CATHOUSE THURSDAY (I’ll be charitably silent about 1969’s PAINT YOUR WAGON!). 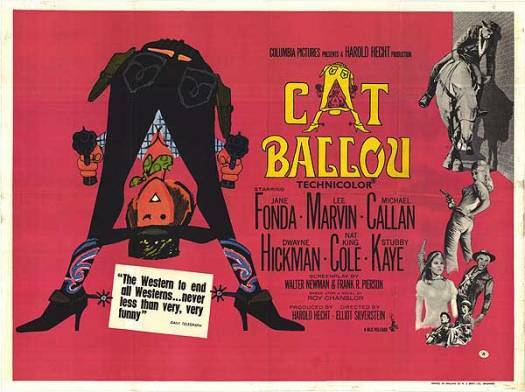 Then there’s the comedy western CAT BALLOU, for which Marvin won an Oscar in the dual roles of drunken, broken down outlaw Kid Shelleen and hired killer Tim Strawn. Marvin’s marvelous, but if the truth be told, it wasn’t much of a stretch for Marvin to play a hard drinker and a macho tough guy… there’s a little bit of Lee in both personas! 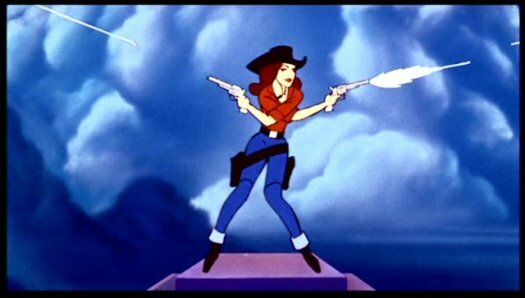 This entry was posted in Film, Film Review and tagged Cat Ballou, Columbia Pictures, Cracked Rear Viewer, Dwayne Hickman, Elliot Silverstein, Gary Loggins, Jane Fonda, Lee Marvin, Michael Callan, Nat King Cole, Oscar winner, Stubby Kaye, Through the Shattered Lens, Tom Nardini, western comedy. Bookmark the permalink.